Facebook keeps on introducing new features for its users due to which it has become the best messaging and picture sharing app around the globe in a very short period. The tech giant tries to keep its users engaged by launching new features so that it can provide a better user experience. A couple of months ago, Facebook announced that it has been working on a dedicated Dark Mode for its mobile app. Even Facebook Messenger dark mode was in testing phase from months now. After a long wait, Facebook Messenger Dark Mode is finally rolling out for everyone. Just like other trends, Dark mode is a trend that has spread like a virus. All the social media giants like YouTube, Twitter, and Instagram, etc have already launched dark modes for their platforms. 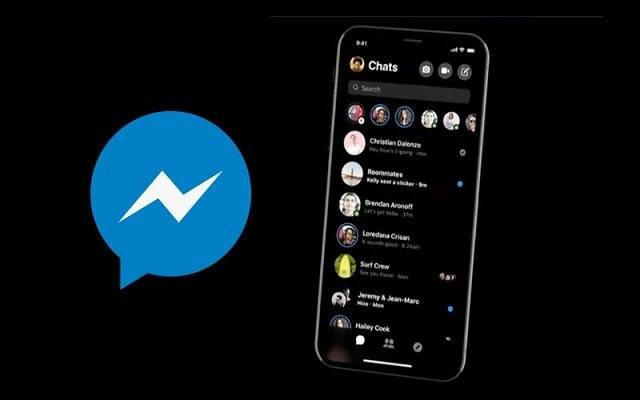 About two months back, we got certain rumors regarding Facebook plans to launch Dark mode for its messenger. Previously Facebook had rolled out Dark mode for Messenger, however, it couldn’t be activated from the settings menu. To activate dark mode in messenger previously, people used to send a crescent moon emoji in any chat. Now Facebook has made it easy to activate/enable dark mode in Messenger as it has added a toggle in the settings menu. In order to activate this feature, you need to click or tap on your profile picture in messenger. In this way, you will be able to access settings and toggle mode from which one can switch on to dark from white. This mode will be quite similar to the other Dark Mode implementations. Messenger’s new feature will turn the previously-white background black. In addition to this, the black text will also be switched to white. Moreover, anything that is light gray in color will be replaced with a darker tone. However, the colorful elements will remain completely unchanged. The Dark mode for Messenger will provide lower brightness however the contrasts will remain the same. Do you like Dark mode of the Facebook messenger? Let us know in the comments section below.